Blogs and their personal narratives provide an indispensable method to learning about different places and experiences. Therefore, what better way is there to learn more about this country we call home than through the eyes of an expat and from the comforts of our couch! "Istanbul" is a captivating blog about travel, food and history written by Emily, a native New Yorker and interactive designer who has been living in and blogging about Istanbul since January 2015 that is well worth checking out at www.istanbulinspired.com. Australian expat Lisa Morrow is the author behind the prolific blog "Inside Out in Istanbul" and is both extremely entertaining and contains a wealth of information, which should come as no surprise since Lisa is also the author of three books on Turkey as well as an audio walking tour of Kadıköy. Check out www.insideoutinistanbul.com. Anne is a British expat who returned to Bodrum decades after her first time visiting and describes her rural-esque life in what was once a sleepy fishing town turned-Rivieran metropolis in a heartfelt and entertaining manner. Visit backtobodrum.blogspot.com.tr. Roving Jay is also penned by a British expat relaying her day-to-day experiences in a new life in Bodrum as well as sharing advice on blog and travel writing, as she also has a number of guidebooks on the region under her belt. Visit www.rovingjay.com to check them out. "Captivating Cappadocia" is a lively blog started by Duke, an American expat residing in the fairy chimney paradise, which also has visiting bloggers and serves as an excellent guide on the region. Check it out at: www.captivatingcappadocia.com. Perhaps the most prolific website on travel in Turkey with over 5,000 pages on the subject, "Turkey Travel Planner" has pretty much all the information you would need to navigate the country, which should come as no surprise as it is penned by travel writer Tom Brosnahan, who has written for travel guides such as Lonely Planet, Frommer's and Berlitz. Visit turkeytravelplanner.com. Once called My Turkish Joys, but now, "My Travelling Joys," this blog by an American pastry chef expat focuses more on cuisine and is an enjoyable read at www.mytravelingjoys.com. The stunning travel and photography blog "Katrinka Abroad" takes readers on a trip through this American expat's eyes of Istanbul, greater Turkey and wherever she visits at http://katrinkaabroad.com. Author and expat Faye Rogan discusses love in Turkey at fayerogan.com. "Seasonal Cook in Turkey" is a widely popular blog on cooking started up by Claudia Turgut, a British expat who then handed over the reins to another culinary enthusiast expat, Lulu Witt, who has respectfully taken on the honors. Be tantalized at seasonalcookinturkey.com. 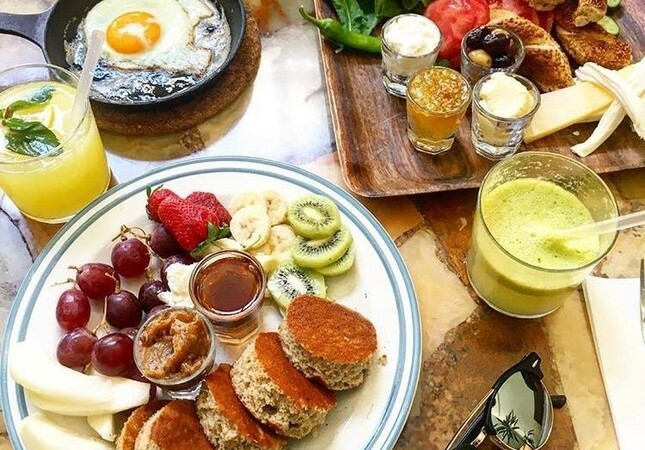 "Everberries" is an enthralling blog of musings penned by Razan, a Lebanese expat who moved to Istanbul this year at everberries.wordpress.com. "Have Some Color" is a newer blog written by Mihaela, a Transylvanian expat in Istanbul, with sections on travel, yummies and photography at www.havesomecolor.com. Written by Mariliis, an Estonian expat in Istanbul, "Simply Human" shares travel tips, expat advice and entertaining inspirational stories and is well worth a stroll at simplyhumanmariliis.blogspot.com.tr. Australian expat Jason Noble is the eloquent author of this entertaining blog that details his exit from a life of academia in 2014 to build and open the "Ionia Guest House" in Aydin's Germencik with his wife Sirem, which they did this May. Their story is also featured in an episode of the U.K. production Our Dream Hotel, but the blog is nearly just as vivid. You can find it at www.ioniaguesthouse.com. Atulya is a British expat, author and earth bag building expert, who built her own home in Olympos, which she details in her blog "Mud Mountain." She recently set out by caravan across Europe after spending nearly two decades in Turkey, an experience she also shares in her blog "On the Road." Both are in depth, enthralling and wonderfully written and you can find them on www.themudhome.com. "Natural Design and Building by Chris Shaw" is a newer blog by a seasoned expat and Los Angeles native who has been in Turkey since the millennium building eco-friendly and beautiful constructions in locations such as Kabak Valley in Fethiye and Seferihisar in Izmir. Check it out at https://chrisshaw.blog/. There are two real estate-focused websites that also have active blogs written by a number of contributors that have a wealth of information of interest to anyone on Turkey. Visit www.turkeyhomes.com and www.propertyturkey.com. "We Love Istanbul" serves as a compelling online magazine, with a wide variety of writers on topics having to do with Istanbul at www.weloveist.com. "The Outspoken Travel Guide Book" aka Atdaa, is a refreshing guide of cities all over the world, placing a heavy emphasis on Turkey with over 200 posts by expats and visiting foreign alike. Check it out at atdaa.com. "Turkey Central" serves as an excellent online portal for expats. Started up by an expat and contributed to by countless, there is also an active forum if you have any questions to pose yourself at www.turkeycentral.com.